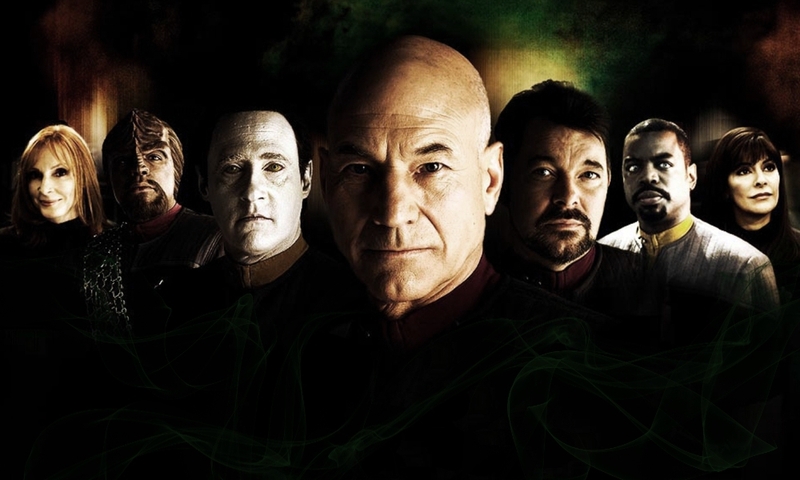 It’s over a decade since the ambitious Star Trek: A Time to… series was published. 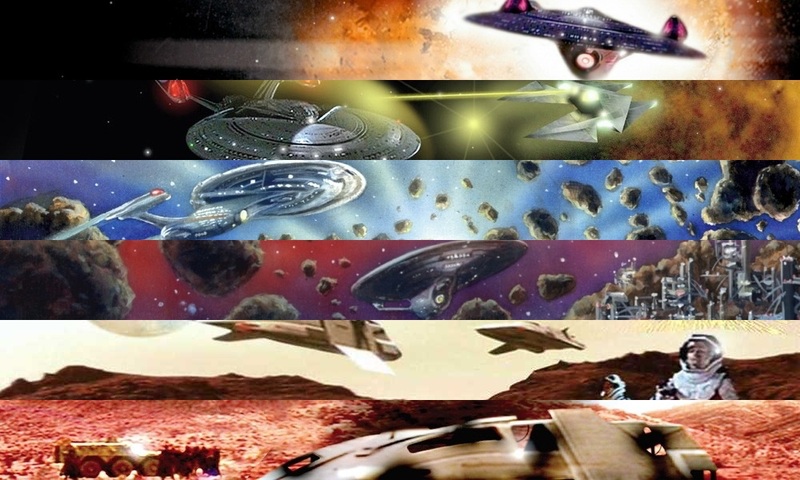 The nine-book Next Generation saga set out to provide context for events that feature film Star Trek Nemesis had introduced without explanation – the marriage of Will Riker and Deanna Troi, the return of Wesley Crusher, Worf going back to Starfleet, and Riker finally assuming his own command, to name just a few. The series began with John Vornholt’s A Time to be Born and A Time to Die, which brought back former TNG regular Wesley Crusher. His final appearance on the TV series had seen him abandon a Starfleet career, instead departing to another plane of existence with the transdimensional alien being known as the Traveler; in Nemesis, he had a non-speaking cameo, in human form and Starfleet uniform, at Riker and Troi’s wedding reception. John was able to show what first brought him back into the lives of the Enterprise crew. “In A Time to be Born, Wesley Crusher is reborn as a Traveler, after a lengthy apprenticeship,” he reminds us. “Of course, time, space, and distances don’t mean anything to a Traveler, so Wesley is essentially a superhero, with the powers of Doctor Who combined with a shapeshifter. 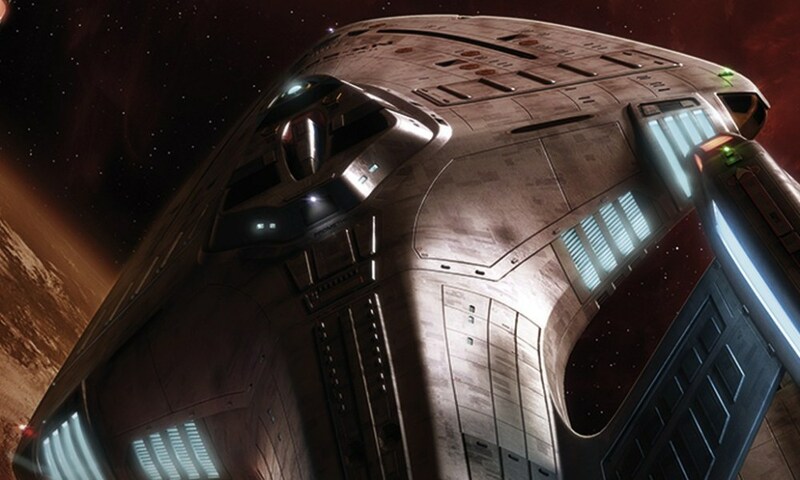 In the Pool of Prophecy, he views the destruction of the Enterprise-E, a vessel he’s never seen in reality, and he has to use his new gifts, and old allegiances, to save them. John was a natural choice for the Wesley-centred parts of the miniseries, having wanted to bring back Wesley long before his Nemesis cameo. “[John Ordover] knew I had tried several times to take up Wesley Crusher’s story as a Traveler,” he recalls, “but Paramount would never let me do a ‘Wesley as a Traveler’ book because the TNG movies and TV show had left that completely unexplored. They were worried that a TV show or movie might make a casual comment, such as ‘Too bad Wesley Crusher died last week’, which would have completely negated any story I came up with. “Then, lo and behold, Star Trek Nemesis came out, and there was Wesley Crusher, alive and well! Better yet, that movie gave no explanation at all where Wesley had been, or what he had been doing. Suddenly I was free to fill in the blanks on Wesley Crusher after he left with the Traveler. I got an early copy of the Nemesis script, because I wrote a YA novelisation of that movie, as I had done with all the previous TNG movies. In the script, Wesley had a few lines that might have caused me some minor continuity problems, but all his lines ended up on the cutting room floor. Once again, I was free to pursue Wesley’s story without any fear of contradicting something in official Star Trek canon. The first writers to delve into that difficult middle ground in the A Time to… series were Dayton Ward and Kevin Dilmore with A Time to Sow and A Time to Harvest, their first full-length novels together. “John Ordover, who had been my editor for my first short stories and novels published by Pocket Books, contacted me in the fall of 2002 about me – or Kevin and me, as we now a writing duo by this point – about writing a pair of novels for a Next Generation miniseries he was planning for 2004,” remembers Dayton. “At this point, he was planning 12 books, with six different writers (or writing team, in our case) each taking on two books. John called us after one of the authors in his original lineup had to bow out. Kevin and I had been writing together for a couple of years, having written a handful of novellas for the Star Trek: S.C.E. eBook series. 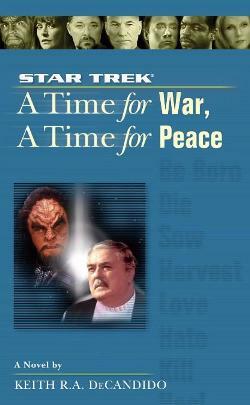 In a sense, being asked to contribute to the A Time to… series was the Star Trek novel equivalent of being called up from the minors to play Major League Baseball. On the other side of that bridge was Robert Greenberger, who took the reins for A Time to Love and A Time to Hate. “I got to touch on the largest issues between films: the actual proposal and beginning of wedding planning,” Robert explains. The series couldn’t have come at a better time for him. “One cold January day in 2002, I was fired by Marvel Comics,” he recalls, “and as I stood in Grand Central Station, awaiting a train home, editor John Ordover called to commiserate and offer me two books in the series. Apparently I was on his list for this project so this jump-started things. David Mack wrote the last two-parter in the series, A Time to Kill and A Time to Heal. “In the summer of 2003, several months after my Star Trek: S.C.E. eBook novel Wildfire had been released to critical acclaim and strong sales, I was contacted by editor John Ordover,” recalls David. “He asked me to write a pair of back-to-back paperback novels that would constitute the penultimate story in a nine-book Star Trek: The Next Generation miniseries he was planning. I agreed. “It was a fortunate development for me, and it came at an opportune time. Based on the strength of my Star Trek résumé at that point – co-writer with John on a couple of episodes of Star Trek: Deep Space Nine, and author or co-author on a handful of Trek books and eBooks – I was poised to make the leap to full-length novels. “A Time to Kill brings the crew of the Enterprise-E to the planet Tezwa,” David reminds us, “where a diplomatic crisis (sparked by the militaristic prime minister, Kinchawn) leads to violence between that isolated world and the Klingon Empire. The Federation president, Min Zife, orders our heroes to prevent a Klingon invasion of Tezwa – but the only way they can do that is to conquer the planet themselves first, and plant a Federation flag on it before the Klingons arrive. David’s books provided some of the series’ darkest moments. “What would be the point of having them spend the whole miniseries ‘up’?” he asks. “Unless they suffered reversals, they would have nowhere to go, and the miniseries itself would lack a narrative arc. Keith R.A. DeCandido was left to wrap the series up in a single-volume finale. 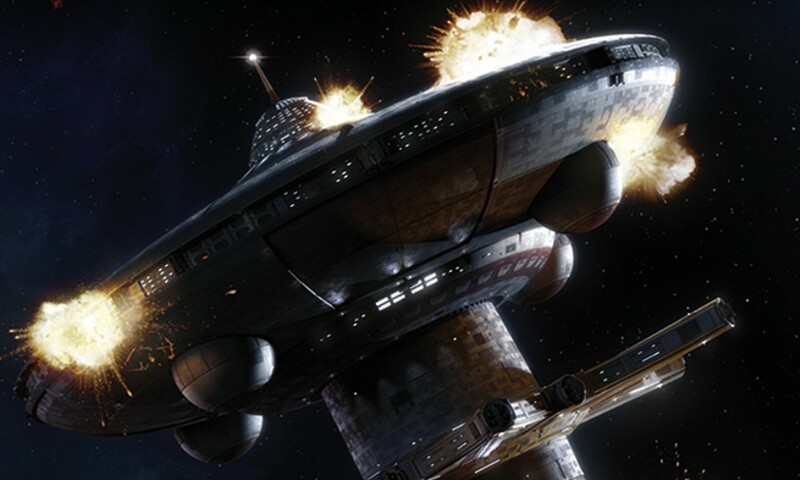 Over the course of the series, the Enterprise crew had to fight an uphill battle to restore their reputation after the events of Be Born and Die, with plenty more trauma as the books unfolded, from Data losing his emotion chip to Riker losing his father. With a decade of hindsight, we ask the writers what single thing they’re proudest of in their respective A Time to… tales. Is there anything about any of the books which the writers might do differently today than they did in 2004? Continue reading… • In Part 3, we investigate the series’ extraordinary legacy.